Published on 23 December 2012. 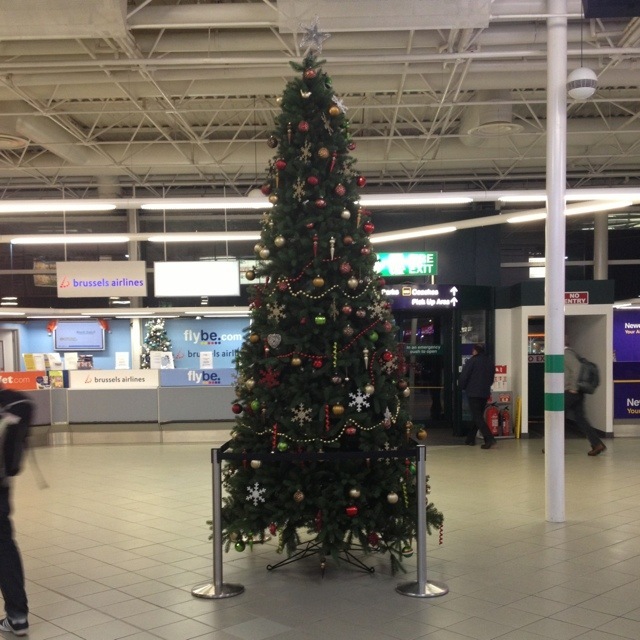 This Christmas tree at Newcastle Airport leans to an even greater degree in real life than appears to be the case in this photo…! But it made me smile with amusement, and I guess Christmas trees are, after all, supposed to make people smile! This 1,940th post was filed under: Photo-a-day 2012.